I can't believe Mr. Ernie is 1 year old! Is he still considered a puppy? Even though we did not get to meet Ernie until he was 2 months old and took him home at 3 months, we love him more than anything! It feels like just yesterday that we went to go pick him up from the breeders. He was the last one left (the breeder agreed to let us pick him up after we returned from our honeymoon) and he instantly came to me. He was so calm and scared on the 3 hour drive home but little did we know he would soon turn into a rambunctious, wild, STUBBORN, happy little pup. I feel like time has FLOWN by since Ernie came into our family. I can't imagine how time will fly when we have human babies. Ernie makes our lives so much better. So much happier and a lot funnier. Jon and I each got Ernie a special gift and we will probably give him extra treats or some peanut butter but his birthday party is on Tuesday! My grandparents are coming in town for Thanksgiving and staying with my parents so we wanted them to come to the party. 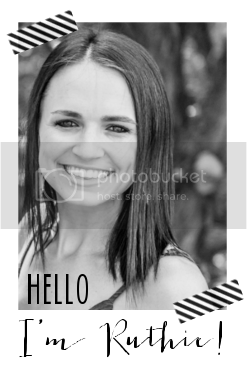 Stay tuned for pictures! Happy birthday to Mister, Piggy, Piggles, Pig face, Bubba, Bubbles, Chunky, Chunkles, Poop-scoot, Poo Poo (yes gross), McNernie....WE LOVE YOU!! What a cutie! Happy Birthday Ernie! Awww happy birthday to Ernie! Happy birthday, Ernie! Have fun celebrating!! You are LOVED! Love reading about how much you guys LOVE your pup! I feel the same way about my my dog! Can't wait to see pictures from the birthday party! He is just the cutest thing! awww Happy birthday to the baby! Woof Woof Woof Woof, Woof! That's happy birthdday to you, Ernie. 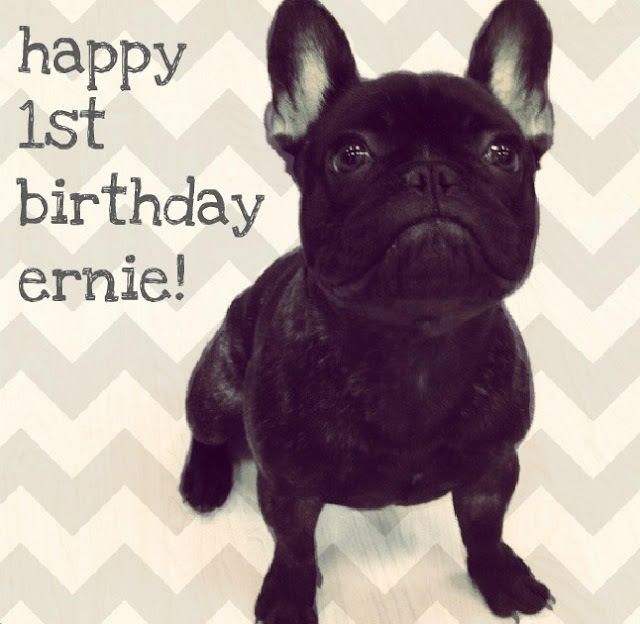 Happy Birthday to Ernie!! :) Aw I love all of the names you have for him! Yes...even in Poo Poo!! haha! Awww he is adorbs!!! We have 3 westies and they are our kiddos, our pride and joy. Our newest to us, LuLu, has her 1 year anniversary with us tomorrow. We rescued her from a high kill shelter. We don't really know how old she is (they think 7 or 8?) or her b-day but we say the 20th is her b-day. Maybe I'll pretend she's 6 lol. Enjoy your week. Sending positive vibes your way! Aww I hope he had a fabulous Birthday!!! !